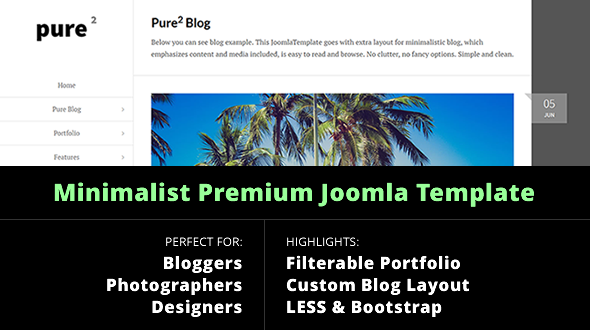 Featuring PureSquare – Premium minimalist Joomla! template with charisma. Clean & pure design, minimalist approach, template that puts the content first. and everyone who loves simple but elegant design.